Fox News host Jeanine Pirro uncovers the elements of this conspiracy, including:'Fake news' propaganda,Law enforcement corruption at the highest levels,National security leaks by the intelligence community,Bureaucratic resistance to lawful and constitutional executive orders issued by the duly elected president,Crooked deals with foreign governments by U.S. officials sworn to defend our Constitution.It's about time the American public knows the truth about the plot to bring down the Trump presidency. By the time you've finished this book, you'll agree with Judge Pirro that the only way to stop these hoodlums is to Take Them Out in Cuffs! This is an awesome book. Judge Pirro is a great political mind. TRUMP 2020! Very detailed review of this issue. I greatly admire judge Jeanine and respect her great effort to provide us with understanding explanation of this media and swamp circus. I like her assertive voice in this book and in general appearance in media. To me it looks like USA found it's first woman president for 2024? Who knows.. I know this: Book and reading is great. 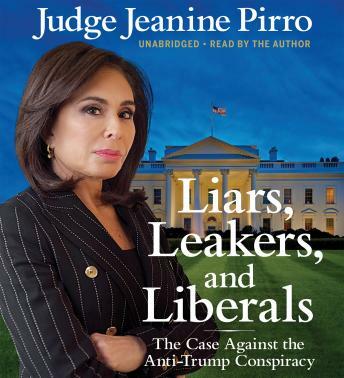 Judge Jeanine is awesome and this book is exactly why people love and respect her. Great book, so real and true.